The 27-year-old Ohioan is being held in the Mahoning County jail following her arrest yesterday for theft and possession of narcotics and drug paraphernalia. 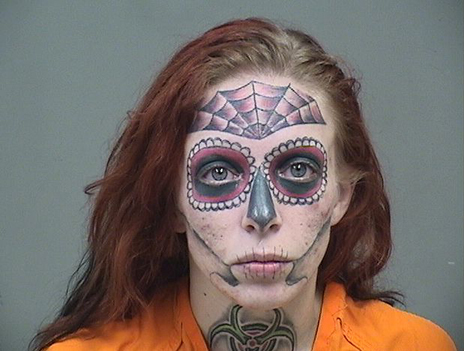 Zebrasky was busted after allegedly stealing merchandise from a Walmart. A subsequent police search of her purse turned up a hypodermic needle, methamphetamine, and Suboxone (which is prescribed to treat opioid addiction). Zebrasky is locked up in lieu of $6000 bond. Feds: Air Traveler Caught Trying To Smuggle 70 Birds Into U.S.